Alexandria Ocasio-Cortez, the Democrat Party’s socialist star is calling for the electoral college to be eliminated. This, just moments after Brett Kavanaugh was confirmed, by the Senate, as a Supreme Court Justice. Perhaps Ocasio-Cortez should watch a video that explains how the electoral college works. A growing number of Democrats, including Hillary Clinton, are calling for the electoral college to be eliminated. Clinton brought it up again in an <a href="https://www.theatlantic.com/ideas/archive/2018/09/american-democracy-is-in-crisis/570394/"> opinion-editorial </a> for the Atlantic, arguing President Donald Trump was a racist who was damaging American democracy. 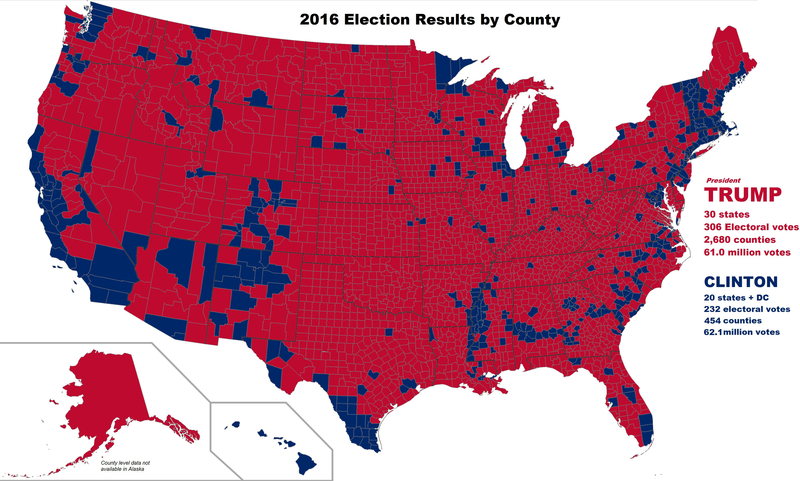 I think if Hillary had won the electoral college she wouldn’t be arguing against it. The Democratic Party is long gone. This new liberal party is an extreme far left socialist ideology that is dangerous to this country. They can’t win in November. I don’t think we would be able to recover from the damage they would cause. D'Souza is correct but dem's aren't concerned about state rights (the red ones esp. ), equitable representation much less maintaining our 'system' of governance (it should be 2/3 majority to appoint a justice but that's another story) . I'm SOO glad after all these years that more conservatives are waking up to the tactics, strategies and goals of the globalist/dem/liberal/progressive left. Dignity/honesty be damned they are going to try to win - the end justifies the means. Conservatives will have their turn to try and clean their house but today it's about Nov. 6th. Yet with the masses…Only a few are left to wake up. They have far fewer zombies than they think. Not going to happen. I’m sure the Country doesn’t want CA and NY to pick our President. Why can’t the idiot Liberal/Democrats just go away. Every time they open their mouths, I wonder how they get anyone to vote for them. Ocasio-Cortez is not that bright and simply thinks she knows more than she really does. Hillary, on the other hand, knows exactly what she is saying. President Trump’s 2 SCOTUS picks (#3 coming soon hopefully) have saved this country from the libs! Clinton won 487 counties nationwide, compared with 2,626 for President-elect Donald Trump. In 2012, under the current state-by-state winner-take-all system (not mentioned in the U.S. Constitution, but later enacted by 48 states), voters in just 60 counties and DC could have elected the president in 2012 – even though they represented just 26.3% of voters. In Gallup polls since they started asking in 1944 until the 2016 election, only about 20% of the public has supported the current system of awarding all of a state's electoral votes to the presidential candidate who receives the most votes in each separate state (not mentioned in the U.S. Constitution, but later enacted by 48 states) (with about 70% opposed and about 10% undecided). Support for a national popular vote for President has been strong among Republicans, Democrats, and Independent voters, as well as every demographic group in every state surveyed. In the 41 red, blue, and purple states surveyed, overall support has been in the 67-81% range - in rural states, in small states, in Southern and border states, in big states, and in other states polled. There are several scenarios in which a candidate could win the presidency in 2020 with fewer popular votes than their opponents. It could reduce turnout more, as more voters realize their votes do not matter. Most Americans don't ultimately care whether their presidential candidate wins or loses in their state or district or county. Voters want to know, that no matter where they live, even if they were on the losing side, their vote actually was equally counted and mattered to their candidate. Most Americans think it is wrong that the candidate with the most popular votes can lose. It undermines the legitimacy of the electoral system. We don't allow this in any other election in our representative republic. In 2012, the night Romney lost, Trump tweeted. "The phoney electoral college made a laughing stock out of our nation. . . . The electoral college is a disaster for a democracy." In 1969, The U.S. House of Representatives voted for a national popular vote by a 338–70 margin. It was endorsed by Richard Nixon, Gerald Ford, and various members of Congress who later ran for Vice President and President such as then-Congressman George H.W. Bush, and then-Senator Bob Dole. California and New York state together would not dominate the choice of President under National Popular Vote because there is an equally populous group of Republican states (with 58 million people) that gave Trump a similar percentage of their vote (60%) and a similar popular-vote margin (6 million). In 2016, New York state and California Democrats together cast 9.7% of the total national popular vote. Alone, they could not determine the presidency. In total, Florida, Texas, and Pennsylvania cast 18% of the total national popular vote. The vote margin in California and New York wouldn't have put Clinton over the top in the popular vote total without the additional 60 million votes she received in other states. In 2004, among the four largest states, the two largest Republican states (Texas and Florida) generated a total margin of 2.1 million votes for Bush, while the two largest Democratic states generated a total margin of 2.1 million votes for Kerry. New York state and California together cast 15.7% of the national popular vote in 2012. About 62% Democratic in CA, and 64% in NY. New York and California have 15.6% of Electoral College votes. Now that proportion is all reliably Democratic. Under a popular-vote system CA and NY would have less weight than under the current system because their popular votes would be diluted among candidates. The National Popular Vote bill retains the Electoral College and state control of elections. It again changes the way electoral votes are awarded in the Electoral College. Under National Popular Vote, every voter, everywhere, would be politically relevant and equal in every presidential election. Every vote would matter equally in the state counts and national count. When states with a combined total of at least 270 electoral votes enact the bill, the candidate with the most popular votes among all 50 states and DC would get the needed majority of 270+ Electoral College votes from the enacting states. The bill would thus guarantee the Presidency to the candidate who receives the most popular votes and the majority of Electoral College votes. States have the responsibility and constitutional power to make all of their voters relevant in every presidential election and beyond. Now 38 states and their voters are politically irrelevant in presidential elections. "Each State shall appoint, in such Manner as the Legislature thereof may direct, a Number of Electors . . ."
The U.S. Supreme Court has repeatedly characterized the authority of the state legislatures over the manner of awarding their electoral votes as "plenary" and "exclusive." Federalism concerns the allocation of power between state governments and the national government. The National Popular Vote bill concerns how votes are tallied, not how much power state governments possess relative to the national government. The powers of state governments are neither increased nor decreased based on whether presidential electors are selected along the state boundary lines, or national lines (as with the National Popular Vote). There is nothing in the Constitution that prevents states from making the decision now that winning the national popular vote is required to win the Electoral College and the presidency. The bill was approved in 2016 by a unanimous bipartisan House committee vote in both Georgia (16 electoral votes) and Missouri (10). Since 2006, the bill has passed 36 state legislative chambers in 23 rural, small, medium, large, Democratic, Republican and purple states with 261 electoral votes, including one house in Arizona (11), Arkansas (6), Maine (4), Michigan (16), Nevada (6), North Carolina (15), and Oklahoma (7), and both houses in Colorado (9), and New Mexico (5). I'm still mad as hell about Boston "beating" my beloved Yankees in the 2004 playoffs. Sure, the Red Sox "won four games" in historic fashion but the Yankees outscored them 45-41 in the series! It was only because of archaic rules written a hundred years ago, by old white men no less, that these illegitimate "champions" cheated their way into the history books. Its time we righted this disgraceful wrong and recognize the Yankees as the true winners of this series. Thank you. Love-Hate thing for electoral college. I saw the fer-instance, Lexy. BUT GLAD IT WORKED FOR TRUMP, haaaa. Love u Lexy!! My name is Aly. Would you have any interest to have your website here at thegoldwater.com promoted as a resource on our blog alychidesign.com ?